Waterproofs: Jacket or Smock, which is best? 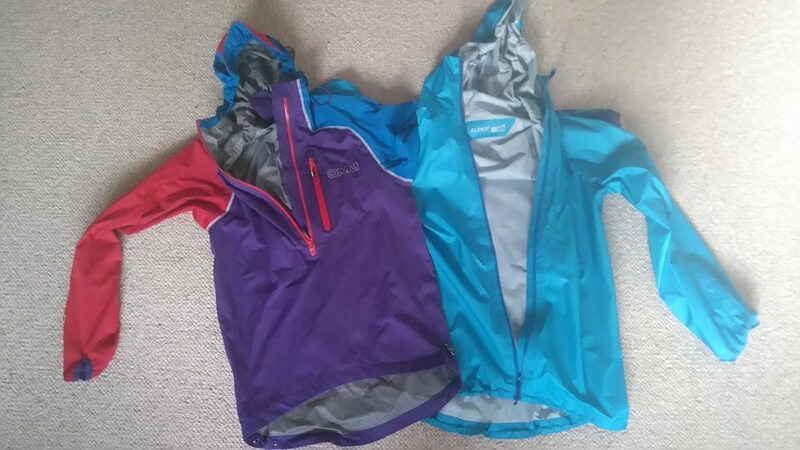 A decent waterproof running top is an expensive investment so it’s best to make the right choice; but which is best, jacket or smock? 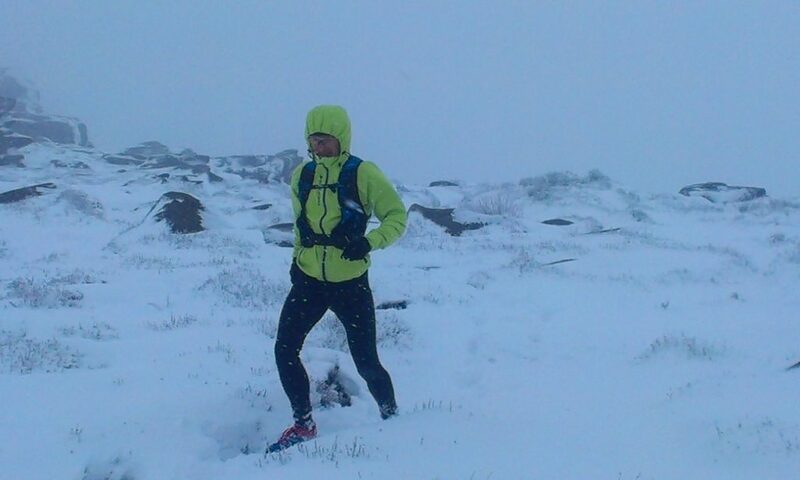 There are plenty of waterproofs on the market specifically designed for runners and all having different features. Obviously you need something that fits and keeps you dry, but should you choose a top with a full length zip i.e. a jacket, or opt for a shorter zip i.e. a smock? Each has its pros and cons. smock or jacket, which is best? There are a couple of advantages of having a jacket with a full length zip: Firstly it is easy to take on and off unlike the slightly inelegant procedure of taking a smock off over your head! Secondly you can unzip it much further to vent and cool off if it stops raining but you don’t want to take the top off. Last year on the High Peak Marathon it had stopped raining and was fairly warm and I was overheating in my smock. 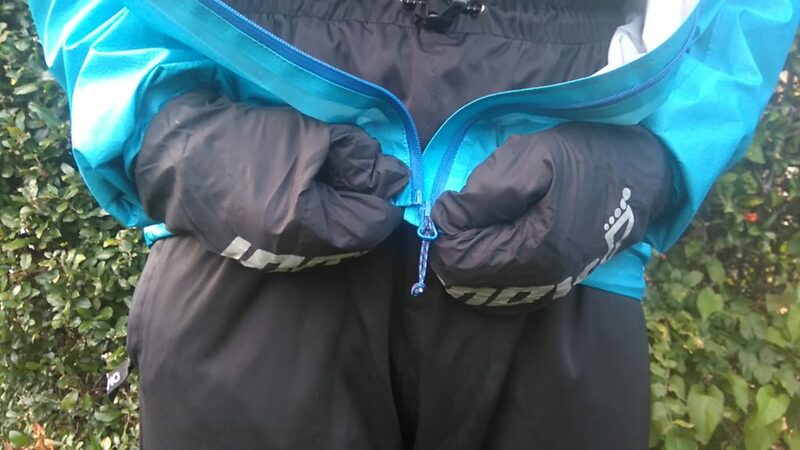 My mate was able to completely unzip his jacket in order to cool down whereas I could only unzip to chest level. the inelegant battle to take off a smock! On the down side a zip is a weak point so is more likely to let in water than the waterproof material of the jacket itself. If you are really unlucky the zip might even fail. Another disadvantage is that you have to fiddle to get the ends of the zipper to marry up before it zips up. This can be tricky even with warm hands, let alone if your hands are cold and wet or if you are wearing thick gloves or mittens. With a smock the zip is already “mated” so there is no faffing about trying to insert the end. For anyone seeking marginal weight gains a top with a full length zip may be ever so slightly heavier than a smock, but there will be very little in it. So there are advantages and disadvantages to each and it’s hard to choose a clear winner. I use both, and to be honest don’t have a preference. The reality of the situation is that most people’s decision will probably be dictated by cost. 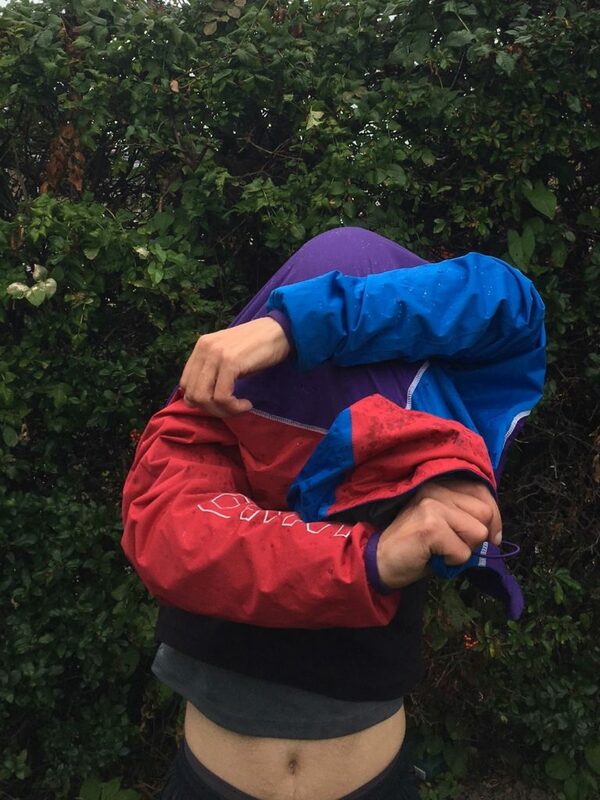 Posted in Clothing, Reviews and tagged waterproof.